Ecodenta Wild Strawberry Scented Toothpaste for Children with Carrot Extract & Kalident has been created to care for children's teeth. By gently cleansing and protecting children's teeth from micro-cracks, decay and strengthens dental enamel. Carrot extract diminishes teeth sensitivity and is a vital element for healthy teeth. 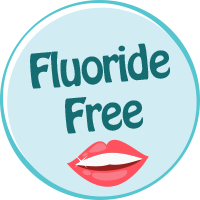 This product does not include fluoride. Aqua*, Glycerin*, Hydrated silica*, Calcium Hydroxyapatite*, Sodium Cocoyl Glutamate*, Cellulose gum*, Aroma, Daucus Carota Sativa (Carrot) Extract*, Chlorhexidine Digluconate, Sodium saccharin, CI 16255. *-97 % ECOCERT or ingredients of natural origin.